He shared a lot of information including that the #1 cause of death in Canada and the United States is modern medicine. There is no debate that modern medicine has saved countless lives, but it is also taking lives. This includes prescription drugs (even when taken according to directions), drugs prescribed incorrectly, incorrect drugs used in hospitals, errors made in surgery, over-the-counter medications and sample drugs often given to patients in the doctor’s office. Combine the deaths of all these sources and there are well over 1 million people losing their life every year. Dr. Ingram stated that some top officials in the pharmaceutical industry refer to their vaccines as being nothing more than “the bargain basement of healthcare.” He says that fortunately, many people have become aware about the heavy metals added into vaccines, but what many are not aware of is that they are “teeming with germs” and contain aspartame. There is no denying that the industrialization of western food keeps a steady stream of patients in hospitals and at medical clinics every day. Dr. Ingram spoke about food and that we must be diligent about being very careful about what we eat, and the sources of which our food choices come from. 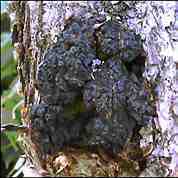 Dr. Cass Ingram has a great video on YouTube that tells you where to find chaga. Chaga, along with wild edibles is surely the best way to take your health into your own hands. This is wonderful! Especially for me, as I’ve only recently learned of Chaga, and Dr. Ingram; and subsequently have found Chaga on Birch to enjoy. Cass (as I’ve seen on YouTube vids) is certainly a powerful personality for teaching and enthusiasm on natural health. I find the notion of spending 2 hours w/ him fascinating. I’m really glad you took this opportunity! CHAGA…..is absolutely one of the best things to take! There is so many things that just this one parasitic mushroom can help,,,its unbelievable!! Society is blinded! By everything these days …..the pharmaceutical companies make billions each year on keeping people sick,claiming there medicine will make you better,what a crock!! !,,,,,,think this way ,if your the CEO of a big pharmaceutical company making a living off selling medicine,,,,honestly would you wanna make people better and get them well,,,,NO!…wake up society! I independently heard about chaga from and old (95+) ‘wild-crafter’ and have been taking it as a tonic for over 4 years now to GREAT results. My company now makes and bottles the double extract Dr. Ingram endorses. If Steve is not following the comments on this blog then he will not know you asked him a question. It is best to contact him at his website – he included it in his comment. Dr. Cass Ingram thank you for all you do.